We thank God for all those who have contributed financially to the building fund. Because of the generosity of so many people, we have purchased and own outright 8 acres of land in southern New Hampshire, and we built “Building 1” which contains the healing center’s outpatient rooms and staff offices, the offices of Institute for Christian Renewal, and “The Costantino Room,” a multi-purpose room used for chapel services and conferences. Over the years people gave to the building fund in thanksgiving for something, in loving memory of someone, or just in their own name. We just placed bricks and paving stones around the Ten Commandments Monument with those names carved in. Early in 2012 we will be giving opportunities for this to be done once again. 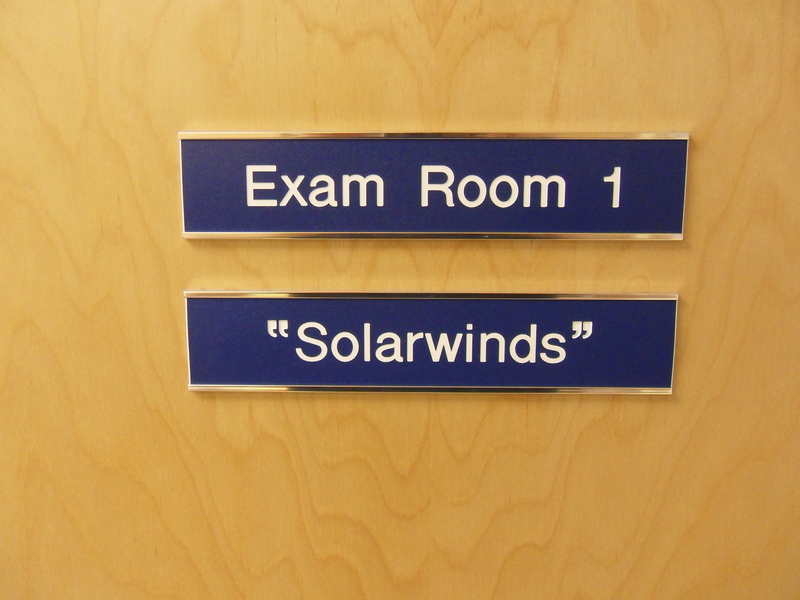 “SOLARWINDS” Patients at the healing center wonder why Exam Room 1 is also called “Solar Winds.” Several years ago a member of our board of directors helped a client facilitate the sale of his start-up company. Both men are devout Christians and wondered how some of the profits of the sale might be used for specifically Christian purposes. Their conclusion was to give the cost of the treatment room in our first building. “WAITING ROOM MURAL” The waiting room is where people sit prior to being seen by a medical staff person, a counselor, the massage therapist, or Canon Mark. It’s a pleasant, sunny room, and had a long blank white wall. 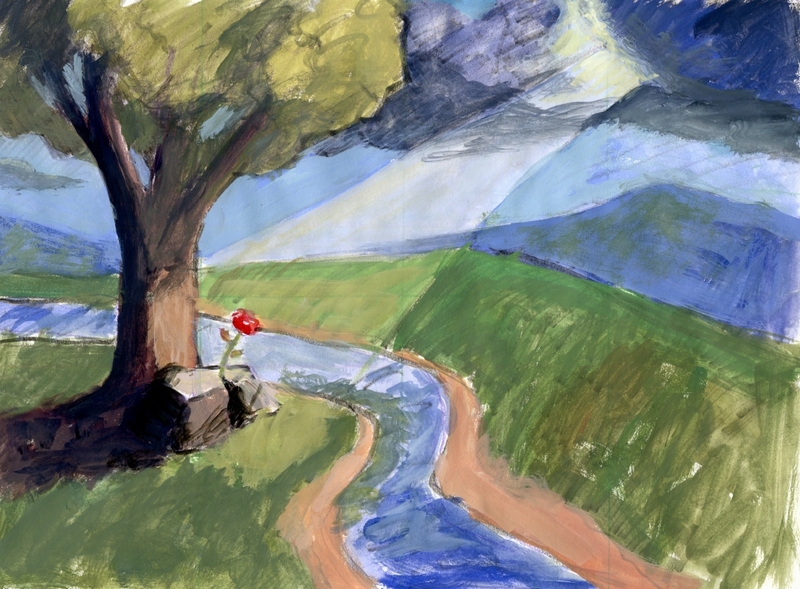 Young Christian artist Stephen Southerland felt God leading him to paint a mural symbolizing what the healing center is a about. Notice the ray of sun (representing God’s grace) calling forth life (new creation) out of a rock of New Hampshire granite (our life which is dead until God touches it). Since the artist donated his time only cost to us was the paint (and a little something we gave him), we decided that the cost of “naming rights” for the mural would be a substantial gift to help us build the second building. This mural is given in thanksgiving for the thousands of God’s people who have served in Christian healing ministry since 1932 through the International Order of St. Luke the Physician. And so it does. THE COSTANTINO ROOM is given to the glory of God and to honor the rich legacy of Bishop Frank Costantino. Bishop Frank was converted to Christ out of a life of crime and grew in Christ to found a series of centers in Florida to help people coming out of prison to keep from going back. Frank knew that there were at least three factors that made recividism likely: individuals were illiterate or lacked job skills or both, individuals were still addicted to alcohol or drugs or both, and individuals did not have a saving, transforming relationship with God in Christ. His centers addressed these needs and have proven successful in not only keeping people from going back to prison but giving them a life worth living. His family gave the cost of the large conference room on the second floor. As this article is being type one of the staff is giving a lecture at one of our day conferences. Midweek Bible studies, chapel services, healing services, and various Christian recovery meetings are held in The Costantino Room. Call the I.C.R. office at (603) 642-3002 and talk with Canon Mark for more information.